My tribute: There's no denying! 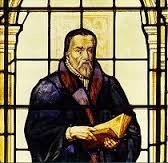 William Tyndale was strangled and burnt at the stake in 1536 for heresy because he dared to stand up for Christ and translated the Bible into English. 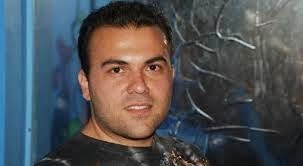 Pastor Saeed Abedini is currently in his 3rd of an 8 year sentence for daring to tell others of his faith - Saeed , a former Muslim converted to Christianity and set up house churches in Iran. Persecution like Saeed's and even further to Tyndale is pretty much unheard of here in the west, but in my opinion we should be warned - it will come our way and sooner maybe than any of us can expect. Just recently, tolerance for such things as homosexuality, is rife and there are laws afoot that make it a 'hate crime' to voice your opinion on what the Bible plainly teaches. Here in Australia, scripture in schools is being 'outed' as 'cultish', outdated, fairy tales and fantasy. Many schools have had to make a choice between allowing scripture or facing a backlash of media scrutiny and parent protest. I can see in the not-to-distant future it will become a crime to voice your opinion on Christianity and doing so could lead to prison sentences simply for taking a stand for Christ. We can't allow ourselves to be persuaded to 'water-down' our faith; to compromise the very grace of God that saved us just so we don't 'offend' someone in the community. Jesus himself warned His disciples of the hypocrisy of the Pharisees - an act which ultimately led to His death on the cross. We have to be so careful and be so aware of hypocrisy in our own lives. Would we be prepared to confess our Lord Jesus when we are under pressure? Pressure for us, as those living in Christ, will certainly come to us if it hasn't already; whether it will be severe persecution or social rejection, we as Christians will have to give an account to our peers at some stage. The BIG question we have to ask ourselves is "How will I react? Will I confess Jesus or will I deny Him? This very question is not some 'airy-fairy-pie-in-the-sky' question - It is deadly serious! 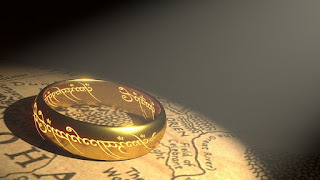 Jesus Himself warns us that our very eternal destiny hangs on this question. If we deny Him under pressure then we become hypocrites; saying one thing then acting another: all hypocrites will face God's judgement! Even unto death we have to confess Jesus before all people: and I truly believe that there is coming a time, and sooner than we think when we will have to do just that - Are you prepared? am I? I believe too that even our sins are an act of denial of God. We so often deliberately sin, turning our backs on God and doing the "I did it my way" thing! How dare we! God never turns His back on us, not ever and yet we so often fall for Satan's tricks and feel we can do it ourselves; we get offended and put out; we try, ever so hard, to confirm to the world's standards, when all the time, God's grace, mercy, forgiveness and love are extended to us constantly. Yes: denying Christ can take all sorts of forms; whether it be our sins of rebellion or failing to own His amazing name. Jesus recognised that our words and deeds can have a huge bearing on how we are spend eternity: we would be so foolish to simply ignore or shrug off as inconsequential His mighty words of warnings here in Matthew. We must make a choice and once made to 'stick with it' even in the face of potential persecution, imprisonment or even death. God bless you as you speak out for Jesus; Make His name known to all and let the world know where you stand.